In July 2016, he received a loan from "Humo" MFI in the amount of 8000 TJS. 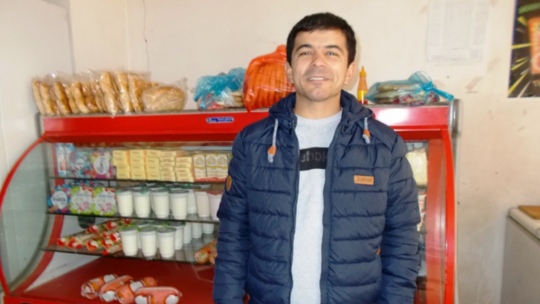 He used the whole amount to purchase a range of food products and increased turnover. Within a short period of time, Yahyo got a good profit from his business and doubled the number of products in his grocery store. Moreover, he bought a refrigerated display case for perishable goods such as sausages, dairy products, butter, etc. Now, his business is progressing very well and his brother actively helps him in the trade. "Due to your support, I was able to achieve my goals, and for that I am infinitely grateful to you, because you gave me a helping hand at the right moment. Today, I am a successful businessman and I no longer have to go to foreign lands for searching job as I have a stable thriving business here”.